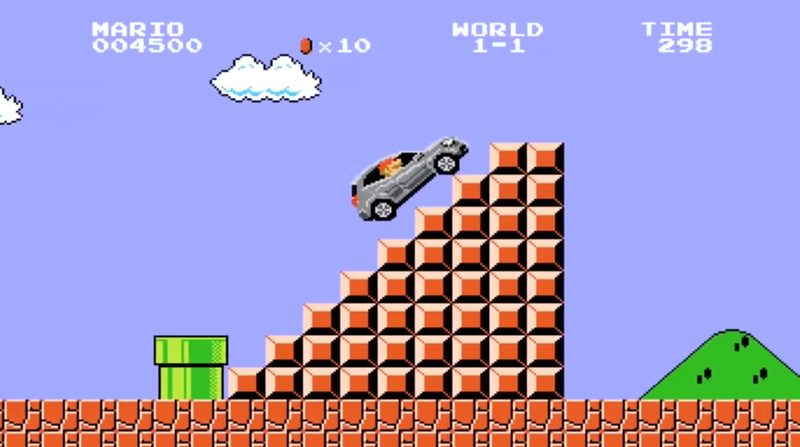 In the commercial, Mario gets in a Mercedes GLA and drives through World 1-1 of the classic NES Super Mario Brothers video game. Upon jumping over the flag by the castle, the 8-bit commercial turns into live-action! The car comes to a halt with an actor portraying Mario exiting the car and then comically stepping on a Goomba with sound effects.